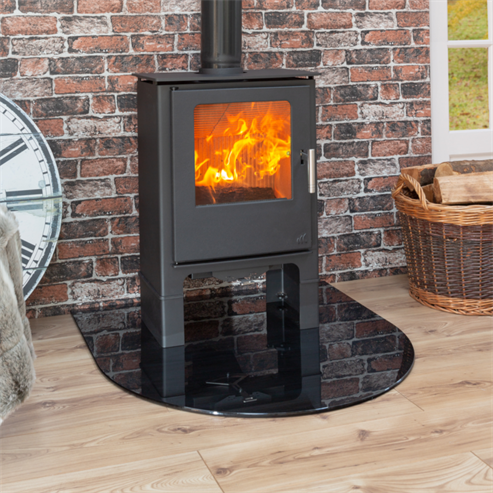 The Loxton 3 is the smallest variant of the Loxton stove range. 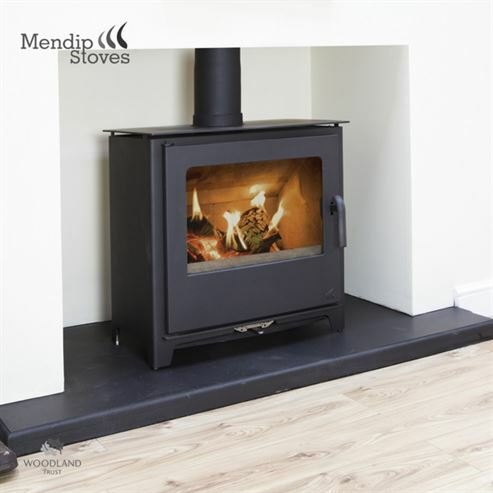 5mm steel constructed appliance is fitted with a cast iron grate, fully insulated vermiculite chamber and large ash pan. 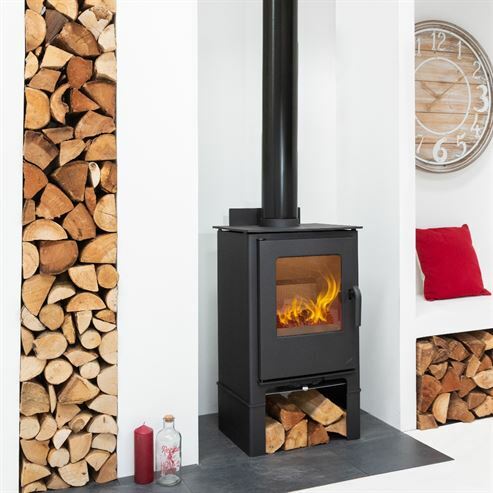 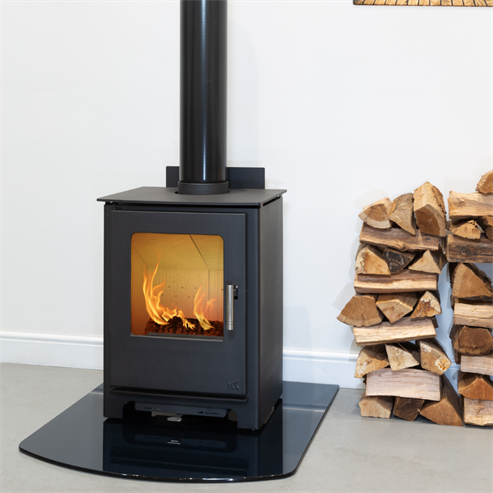 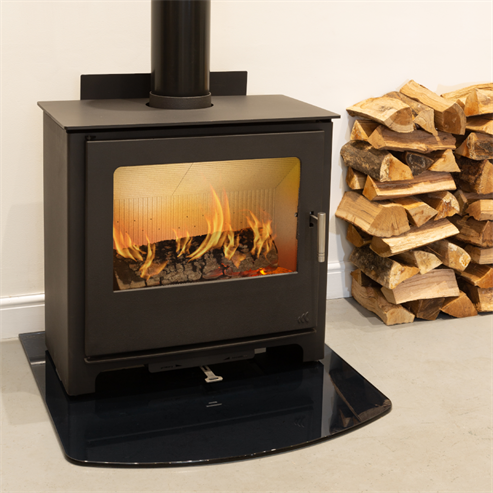 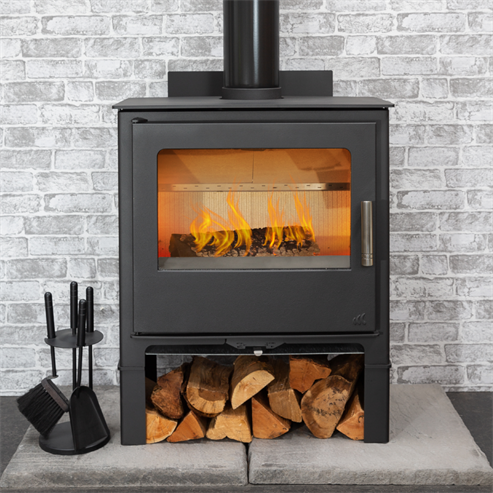 The Loxton 3 may be small but it has range leading efficiency figures providing high levels of heat for small quantities of wood or registered smokeless fuels. 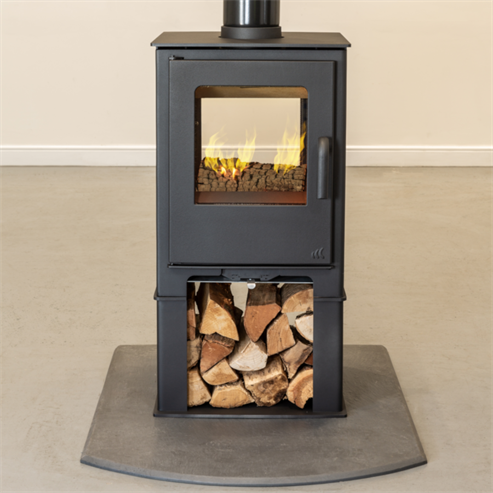 Now available with an optional small stove stand to raise the stove to make loading easier and give a more contemporary look. 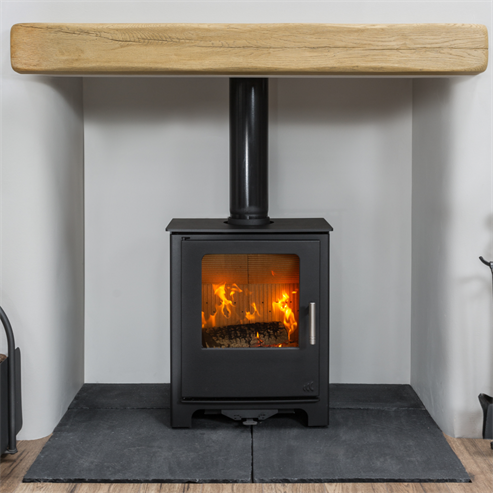 The clean lines of the new Loxton 5-10 cast iron door and large glass window open the fire box to the room. 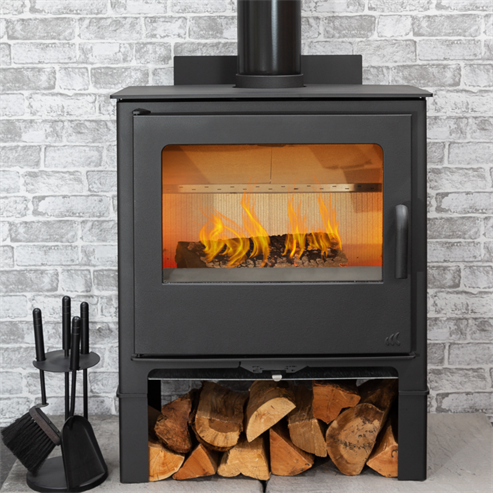 The single air control makes adjustment simple and the latest three-flow clean burn air system allows for a more complete combustion. 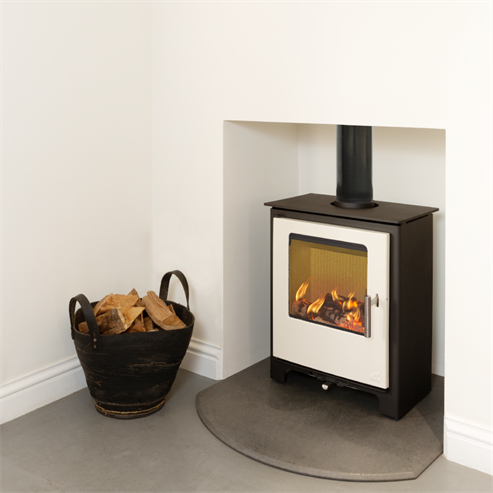 Available in a range of outputs, you can easily match the output to your room. 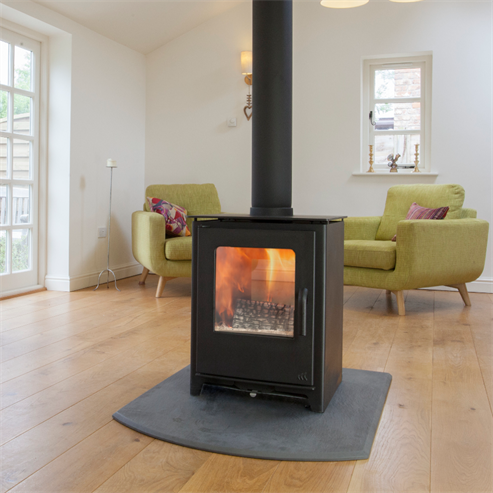 Its construction incorporates many of the latest combustion techniques ensuring that your stove burns wood and registered smokeless fuels efficiently and cleanly.